Sleek, sophisticated, powerful. These are some of the way ways we would describe the Toyota Avalon. 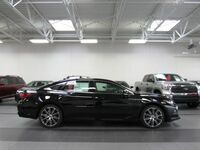 Since its debut, the large sedan has been recognized for its sharp look, impressive handling and premium, high-tech cabin. Toyota takes this winning formula to the next level for 2019 with a full redesign for the Avalon. The sedan essentially keeps its signature charm and spirited personality but receives a variety of updates. 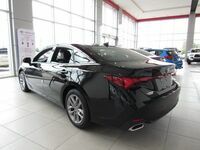 These include new a new hybrid system, a redesigned engine, the newest version of the Toyota Entune system and much more. Here's a closer look at the 2019 vs. 2018 Toyota Avalon. Put the 2019 and 2018 Toyota Avalon models side-by-side and you will notice the two have very distinctly different styling. Performance is also very different, thanks to the engines under the hood. While both models have a nimble, athletic performance, the 2019 Avalon ups the ante thanks to its new active variable suspension with active damping and independent wheel control. 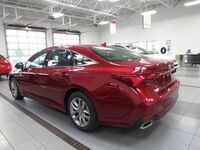 For 2019 Toyota also makes a number of features standard on the Avalon, including Safety Sense P, a rearview camera, Apple CarPlay and much more. Which Toyota Avalon model is right for you? It really comes down to what you're looking for in your large sedan. 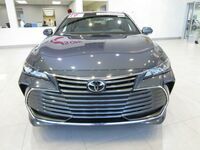 Both the 2019 and 2018 Toyota Avalon models have unique features and capabilities that are sure to impress. Best of all, the new 2019 Toyota Avalon is expected to be available in our showroom as early as spring 2018. We invite you to take a closer look at the 2018 model with a test drive today! You can also contact our team directly to request any additional information about either Avalon model and reserve your 2019 Avalon. Contact our award-winning team of experts today!